Adult Industry Payment Processors – All Scams? I had finally grown tired of Zombaio’s late payments, constant excuses and unprofessionalism, so I closed my account with them and started to look for a new payment processor. I wrote several of the bigger known ones, inquiring about their service charges and fees. During e-mail conversations on the topic, I managed to get a few of them to tell me what their fees were. Some, however, were reluctant to divulge this information in an e-mail, suggesting phone or audio conversation instead. Zombaio took a good chunk of commission but nothing upfront. I asked around to see if any of the others could match this offer. Apparently, I was asking the impossible. It would make perfect logical sense to assume that adult industry clients, to any financial institution, would be considered ‘high risk’. Three major payment processors servicing the adult industry have, in no uncertain terms, pinpointed those fees coming down from Visa and MasterCard. 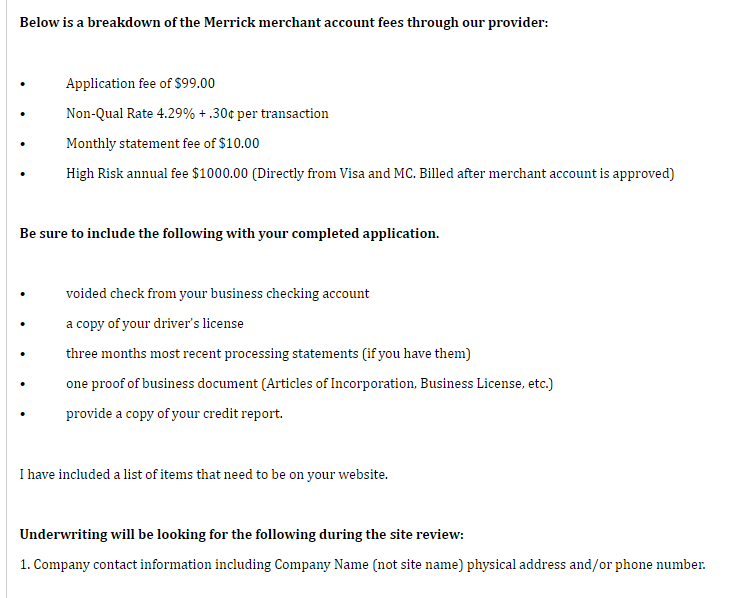 Below are three examples, from three separate processors I have contacted: Verotel, NetBilling and OrbitalPay. According to these processors, both Visa and Mastercard, are charging ‘high risk’ fees that they must pass on to us. It is, after all, the price we must pay for doing business in this ‘high risk’ industry. So in actuality, these ‘fees’ generously handed down to us by the payment processors, have nothing to do with us or being in the risky adult industry at all. From what I can see, it’s insurance to cover any future refunds of chargebacks from customers. Perhaps just a nice little chunk of change to keep under their pillow. Either way, it’s not going from their hands to Visa or MasterCard’s, it’s going from one hand to the other. Plain and simple. Another day, another adult industry scam. Oh shocker!